Potassium Phosphate Offered in two grades namely Commercial Pure Grade and Extra Pure BP IP ACS USP FCC A. R. Analytical Reagent Grade. Please visit Monopotassium phosphate or Monobasic potassium phosphate monobasic IP BP USP FCC for specification. 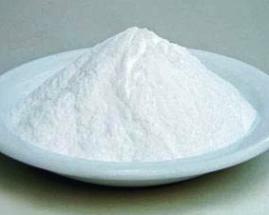 Mono potassium phosphate MKP (also potassium dihydrogen phosphate, KDP, or monobasic potassium phosphate, MKP or potassium phosphate monobasic) -- KH2PO4 -- is a soluble salt which is used as a fertilizer, a food additive and a fungicide. 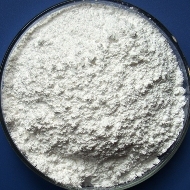 Mono potassium phosphate is a source of phosphorus and potassium. Mono potassium phosphate is also a buffering agent. When used in fertilizer mixtures with urea and ammonium phosphates, Mono potassium phosphate minimizes escape of ammonia by keeping the pH at a relatively low level. 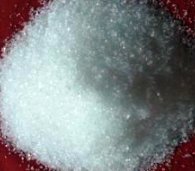 Potassium Phosphate - Monobasic: Potassium biphosphate or acid phosphate; potassium dihydrogen phosphate; mono potassium phosphate. KH2PO4; mol. wt. 136.09. Colorless crystals or white, granular powder; permanent in air; at 400° loses H2O, forming metaphosphate. d. 2.34. Soluble in about 4.5 parts water; insoluble in alcohol. pH: 4.4-4.7. Use: In buffers for determination of pH. MKP is used to prevent calcium kidney stones. It is also used to decrease the amount of ammonia in urine, thereby reducing odor and skin irritation caused by high-ammonia urine. This medication is also given to help certain antibiotics for bladder infections (e.g., methenamine) work better. Fertilizer grade MKP contains the equivalent of 52% P2O5 and 34% K2O, and is labeled 0-52-34. MKP is often used as a nutrient source in the greenhouse trade and in hydroponics. MKP is one of the components of Gatorade and is used as an additive in cigarettes. As a crystal, MKP is noted for its non-linear optical properties. Used in optical modulators and for non-linear optics such as SHG (second harmonic generation). Also to be noted is KDP, Potassium Dideuterium Phosphate, with slightly different properties. Highly deuterated KDP is used in nonlinear frequency conversion of laser light instead of protonated (regular) KDP due to the fact that the replacement of protons with deuterons in the crystal shifts the third overtone of the strong OH molecular stretch to longer wavelengths, moving it mostly out of the range of the fundamental line at ~1,064nm of neodymium based lasers. Regular KDP has absorbance at this wavelength of around 4.7-6.3%/cm of thickness while highly deuterated KDP has absorbance's of typically less than .8%/cm. Please visit Dipotassium phosphate or Dibasic potassium phosphate dibasic IP BP USP FCC for specification. 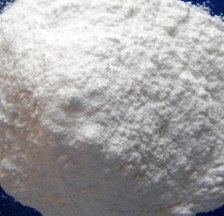 Di potassium phosphate DKP (K2HPO4) i.e. 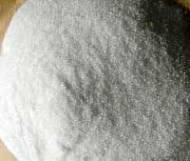 dipotassium phosphate or potassium phosphate dibasic- also phosphoric acid, di potassium salt; di potassium hydrogen orthophosphate; potassium phosphate dibasic - is a highly water-soluble salt which is often used as a fertilizer, food additive and buffering agent. DKP is a common source of phosphorus and potassium. Di potassium hydrogen phosphate. K2HPO4; mol. wt 174.18. White, somewhat hygroscopic granules. Very soluble in water, slightly in alcohol. Converted into pyrophosphate by ignition. The aq. solution. is slightly alkaline to phenolphthalein. As a food additive, DKP is on the FDA's Generally recognized as safe, or GRAS, list of substances. It is used in non-dairy creamers to prevent coagulation. It is sometimes sold as a food additive to help with headaches. Tri potassium phosphate TKP TPP i.e. 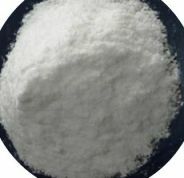 tripotassium phosphate or potassium phosphate tribasic is a water-soluble ionic salt which has the chemical formula K3PO4. It is used as a food additive for its properties as an emulsifier, foaming agent and whipping agent. In combination with fatty acids, it is a potential antimicrobial agent in poultry processing. As a fertilizer, its proportions of N, P2O5, and K2O are 0-33-67, making it one of the few fertilizer compounds in which the nutrient percentages have a total of 100%. TKP * K3PO4; mol. wt. 212.27. Usually contains about one mol. H2O (9%) and small amount of carbonate. White, deliquesce, granular powder. m. 1340°. Very soluble in water; insoluble in alcohol. The aq. solution. is strongly alkaline. Keep well closed. Please visit Tripotassium phosphate or Tribasic potassium phosphate tribasic IP BP USP FCC for specification.